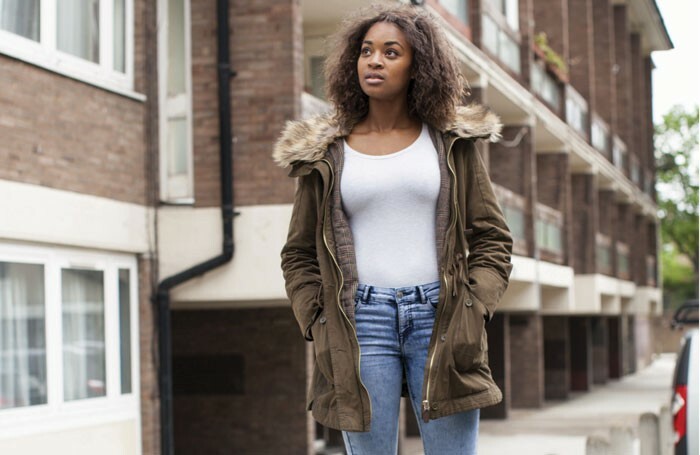 Through a series of sketches and scenes, writer and performer Racheal Ofori contemplates the precarious path growing up as a young black woman. While there is little groundbreaking in the style of presentation, Ofori’s excellent writing fuses poetry and prose to allow each character to vividly leap off the page. Stereotypes are exploited, not simply for their comic value, but to paint a bigger picture of how black women can be perceived in society. Family issues, sexual behaviour and education are recurring themes and Ofori laces each expressive monologue with humour, pathos and a compendium of accents. As a performer, Ofori is a dynamic presence on stage, constantly in motion – dance is a feature of nearly every monologue – yet able to deliver confident, truthful observations on life and love. The framework of Portrait is a fractured monologue of a teenager who has been forced to visit her school student counsellor. Arguably the most successful character in the range, initially she is aggressive and petulant, behaving like your average teenager, and Ofori milks this comedy to great effect. Gradually however, the girl’s belligerence turns into rhetoric and the counsellor’s persistence is rewarded as the girl finally recognises her own potential.